A new decarbonization roadmap in Science largely overlooks agriculture and forestry’s low-carbon opportunities. That’s a mistake –agriculture and land use change account for nearly a quarter of the world’s emissions, while forests soak up one-third of fossil fuel emissions every year. Farming in the Amazon. Photo by Sam Beebe/Creative Commons/Flickr. A decarbonization roadmap recently published in Science outlines decadal targets that put into perspective the monumental progress we need to make to achieve net zero carbon emissions by 2050 and keep warming below 2 degrees C (3.6 degrees F). The authors detail specific measures and incentives for the energy and transport sectors, but the agriculture and forestry sector, the third major component of the roadmap, is offered comparatively few concrete actions — reflective of its overlooked status within the global climate dialogue. The importance of transforming the land sector to help meet the 2 degree C goal cannot be overstated. Today, emissions from agriculture and land use change account for nearly a quarter of all human-caused emissions. At the same time, forests soak up one-third of the fossil fuel emissions we emit every year and could pull even more. That means the land sector can be both decarbonized (reduce emissions) and recarbonized (pull carbon out of the atmosphere and back into forests and landscapes) for a twofold gain. Source: SEEG and GFW Climate. Deforestation is defined as tree cover loss within primary forests in Indonesia and the Democratic Republic of Congo, outside of plantations in Malaysia, and in areas with >25 percent tree cover everywhere else. Emission estimates reflect the loss of above- and below-ground biomass. Simply reducing our beef consumption can go a long way. 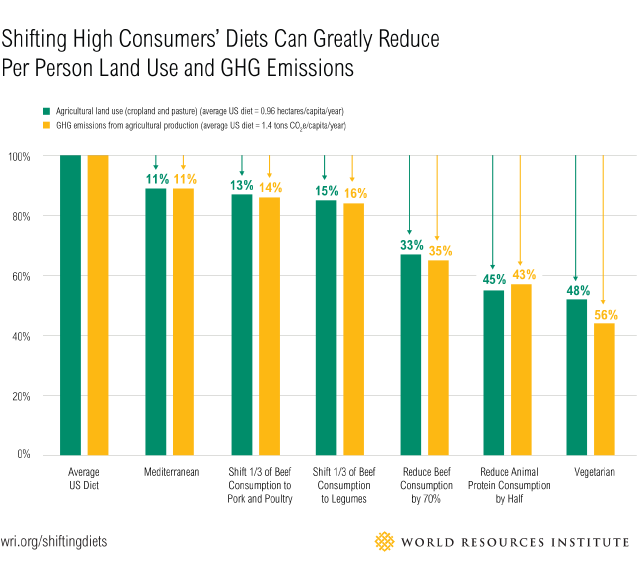 Cutting our meat and dairy consumption in half can nearly halve our dietary carbon footprint, and if whole populations shifted their diets away from beef, it could free up 300 million hectares (740 million acres) of land — an area nearly the size of India — and reduce agricultural pressure on forests. Diet shifts along with reducing food loss and waste as well as sustainable intensification of crop and livestock production, can together bring agricultural emissions in line with a 2 degree C pathway. After 2030, the decarbonization roadmap calls for the construction industry to use emissions-free concrete and steel or to replace those materials with zero or negative emissions substances like wood. Wood can have a lower carbon footprint than concrete or steel and can support taller buildings, reducing pressure on land in the form of urban sprawl. However, climate benefits are lost if wood is not sourced from land that will re-absorb as much or more carbon by 2050 as was emitted during its harvesting and production. Some sustainably managed forests are already carbon neutral or carbon negative, but this isn’t the case everywhere. 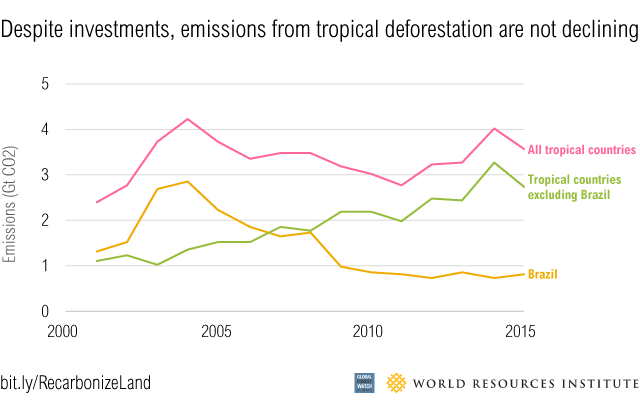 Globally, overharvesting of wood is causing emissions in the short-term as well as a decline in the longer-term carbon removals that must be sustained and enhanced to remain below 2 degrees C. To help achieve net zero emissions by mid-century, sustainability schemes for products made from forest biomass must require carbon neutrality for certification. The world will continue to need more land to produce food, fuel and other agricultural products. 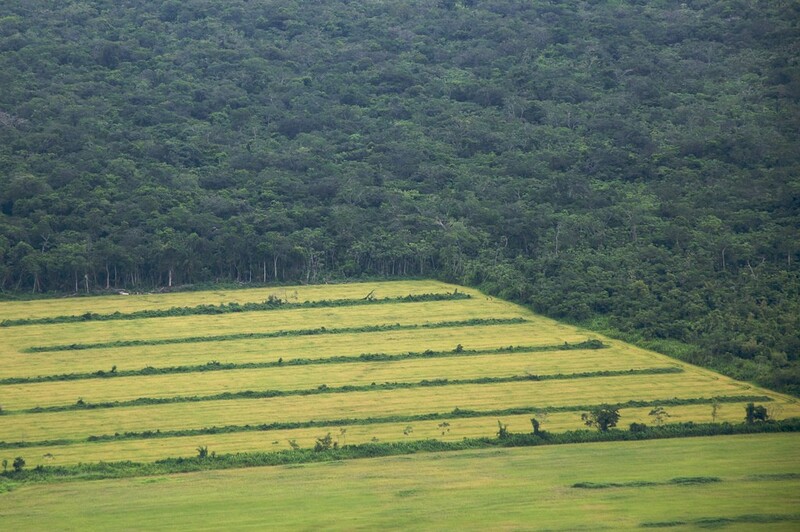 Land available for the sole purpose of carbon sequestration is likely to be limited and comes with significant social, ecological and economic implications that can be positive or negative. Taking advantage of opportunities that provide net economic and social benefits in addition to climate mitigation can alleviate some of the tension between growth and sustainability. But any land restoration strategy — such as replenishing carbon in agricultural soils or increasing carbon stored in trees — takes time and must begin now. Previously published at www.wri.org. This article was originally posted on Global Forest Watch.